Contact Card- a smart card, chip card, or integrated circuit card (ICC) is any pocket-sized card with embedded integrated circuits. Made of plastic generally with PVC, Smart cards have become an integral part of our day-to-day life. It also can be made with ABS. Contact smart card has a set of electrical contact embedded in the surface of the plastic on one side. Smart cards can provide identification, authentication, data storage and application processing. These contact smart cards may provide strong security authentication for secured applications within large organizations. 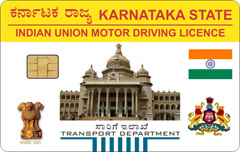 The contact smart cards are used especially in banking, retail sales points and also as GSM SIM cards in mobile phones. These cards having higher securities with different types of encryption methods are basically plain memory cards or microprocessor cards. A microprocessor card has operating systems with different memory architectures. Pertaining to various desired applications, customized OS is developed and used in the market like EMV or SCOSTA. A contact smart card is operated by inserting the card into the card reader and the electrical circuit connects it to the contacts on the card. Our company is reputed for its state-of-the-art plant in India having specialized printing, manufacturing facilities required for Contact smart cards including other personalization activities under one roof. As a professional card manufacturer with sound experience in smart cards & identification industry, we offer the best price, highest quality products and technology proven, secured card manufacturing solutions. Our company has received the acknowledgment by NIC with the SCOSTA certification. Our products are used in various government and corporate sectors as well. The company offers various types of contact smart cards as per customer requirements with chips like Samsung/ NXP/Infineon.